Peterson Real Fyre Charred Series Gas Logs reflect the glowing depth and fiery heart of a long burning fire. Real Fyre artisans work from actual wood samples to carefully recreate the intricate bark detail and natural coloration of deeply charred wood. Gas fireplace logs are convenient and easy to use for most gas fireplaces. The beautiful display and flame presentation of this Real Fyre Charred Wood gas log set is ideal for creating those magic moments and memories. This Peterson Real Fyre gas log set includes: Ceramic Refractory Vented Gas Logs, Vented Glowing Ember Burner, Custom Grate, Connector Kit, Glowing Embers, Sand, Burner Clips, and Damper Clamp. The Peterson Real Fyre vented Natural Gas G45 Burner with a T-shaped burner pipe with a large burner pipe in the center of the burner pan and a smaller pipe that runs through the ember bed allowing the flames to not only dance through the center of your log set, but through the center of the ember bed giving a more realistic flame pattern. It has a BTU output of 50,000 BTUs. This set features a match light system that uses your existing wall key valve and does not include a control valve. Minimum Rear Width Required 24"
Why Choose Peterson Real Fyre? VENTED DECORATIVE GAS APPLIANCE LIMITED WARRANTY. All Peterson gas logs are WARRANTED for as long as you own them (lifetime). All Peterson burner assemblies are WARRANTED for TEN (10) YEARS. All Peterson glass is WARRANTED for FIVE (5) YEARS. SPK-26 controls are covered by a THREE (3) YEAR all parts Warranty. All other Peterson valves, pilots, and controls are covered by a ONE (1) YEAR Limited Warranty (excluding batteries). These replaced an old set that was falling apart. They were pretty easy to put together, and I love the realistic setup of the logs. Love the Driftwood look. Quick ship and no problems with setup. Overall great experience! The coastal driftwood set looks great and goes perfectly with our "slightly beach themed" living room. It looks pretty real too and is way more convenient than wood logs. The Peterson log sets seem to be good quality. I got the match light version and was a bit hesitant about that but after using it once I now realize that it is no big deal, safe, reliable and has fewer parts to break in the future. Just a side note, the logs are lighter colored in person and not charred and black looking like in the pictures and I like that. Make sure to order a bag of lava rocks to complete the realistic look as it is not included. Also, fast shipping! THANKS! Really happy with the log set. I had a gas line but decided to go for the entire set and am happy I did. The Peterson gas burner along with the sand and embers truly does make a very realistic looking fire. Very happy with them. I admit I was skeptical about how attractive a gas fire could look, but we decided to go with it and I couldn't be more pleased. I was so surprised at the realistic appearance of both the logs and embers when the fire was turned on. To top it off the assembly was simple, ridiculously simple (just make sure you have Teflon tape because it is not included). I truly love this product. In my view, a flexible gas line essential for an easy and safe installation. As this is not included with the log set, it must be purchased seperately, which adds another $20 to cost. My wife and I wanted some gas logs for the living room fireplace. The [...] website made the selection easy. After a couple of emails to verify that the logs would fit, we ordered them. [...]The logs are nice and add more warmth than the website led me to believe they would. We enjoy the ease of lighting and the warm glow of the fire. 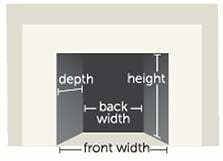 The directions for setup would be better if they included a picture of the log placement. We had a tough time figuring out where they went. Now that they are set up and installed, they still need some tweaking to keep them from turning off after an hour, but we'll get them right. They also got sooty faster than we expected. Otherwise, they are great. The Peterson Real Fyre Coastal Driftwood Outdoor gas log set! Much attention to detail is taken when hand-painting each log. Real weathered and worn driftwood logs were used in making the molds that to create this beautiful outdoor gas log set. Perfect for your beach house or beach themed backyard! Peterson makes their logs from a proprietary blend of refractory ceramic. They are reinforced with steel rods which really raises the integrity of the log. They are no hassle and low maintenance. Peterson’s lifetime warranty is hard to beat! The logs are warranted for as long as you own them, and the burner assembly is warranted for 10 years. 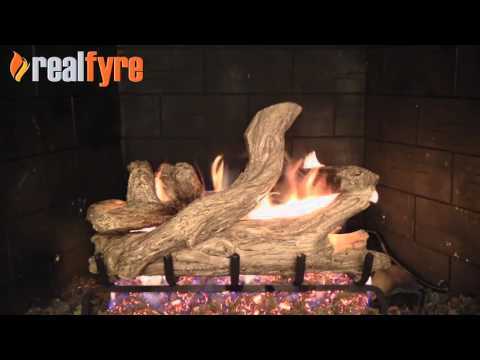 See the Coastal Driftwood Gas Log Set in action.